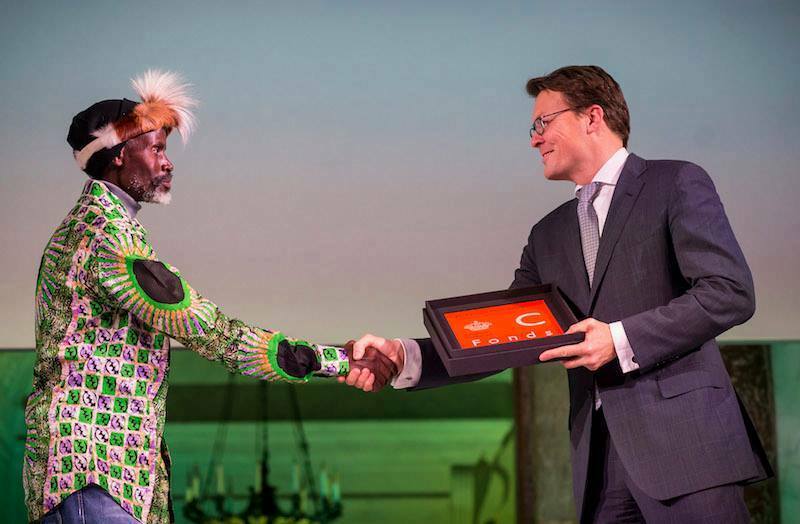 Last wednesday, Honorary Chairman of the Prince Claus Fund, Prince Constantijn presented a Prince Claus Award to Amakhosi Theatre Centre Director, Cont Mhlanga at the Royal Palace in the Netherlands. Amakhosi is a dynamic theatre group with an open, community-oriented approach. Based in a marginalised region, it empowers and uplifts it’s audiences through humorous and perceptive performances on crucial issues, and provides training, rehearsal space and opportunities in theatre, dance, music, film and arts management. Amakhosi was among other ten Prince Claus Laureates who included artists from Iran, Nigeria, Cameroon, Argentina, China, Syria, Albania, Argentina and Iraq and Senegal. The awards were in recognition of artists work in the field of culture and development. Amakhosi, based in Bulawayo, is known for its dynamic, community-oriented theatre group empowering people through collective creativity and social activism.